OTTAWA, Ontario – Two hundred and forty two kilometres. That’s how much range you’ll get from the 2018 Nissan LEAF with its new 40-kWh battery. That number seems to trigger many reactions whenever we talk about the car. Whether it is on our social media pages or directly in person with our readers at social events, people seem disappointed. “You can’t even drive from Montreal to Quebec City in this thing” seems to be the most frequently heard comment when we mention the 2018 Nissan LEAF. 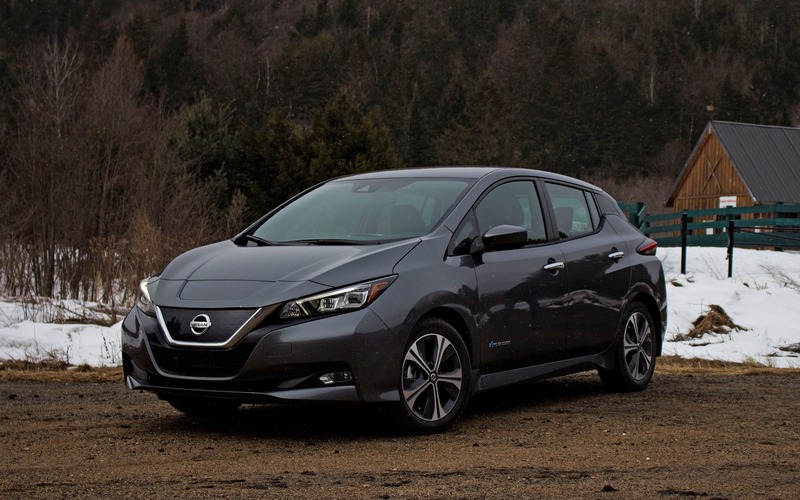 According to Didier Marsaud, director of corporate communications at Nissan Canada, the only people who worry about range anxiety are the ones who don’t currently own an electric vehicle. Owners of such vehicles don’t fear they’ll run out of juice. That’s a bold claim, because there are other EVs out there with superior range. Think Tesla, Chevrolet Bolt EV or even Hyundai’s upcoming electric Kona. Is it therefore safe to proclaim that a lofty range is unnecessary? Here’s the thing; the LEAF is affordable, and that’s where it beats its rivals. As I’m writing this, a viable electric car that offers as much freedom as its gasoline counterpart is very expensive, even after incentives. Oh yeah, the Tesla Model S is cool and all, but good luck finding a new one under $100,000. And although Elon Musk believes the Model 3 is an attainable EV, the first Canadian examples will sell for $64,100. In a world where folks purchase $25,000 Honda Civics and Toyota Corollas, that’s not what you call affordable. Fine, there’s the Chevrolet Bolt EV. For $44,095, you’ll get 383 km. Not bad, but at that price, it’s one heck of an expensive subcompact. The 2018 Nissan LEAF, on the other hand, sells at an entry price of $35,998 (before freight and destination) and is eligible to an $8,000 government incentive. Of course, the LEAF isn’t the only EV in this price bracket. You could opt for a Volkswagen e-Golf or a Hyundai Ioniq for about the same MSRP, but their range only tops out at about 200 km. At the moment, the LEAF is the best value proposition here. Let’s get back to the range situation. If Mr. Marsaud is so confident about his range anxiety claims, it’s because Nissan listened to the 310,000 worldwide first-generation LEAF owners before conceiving this one, and nobody seemed bothered with the old car’s range. According to the owners of the previous city car, they had no issue going where they needed to go largely because the amount of available charging stations is growing at an almost exponential rate. So Nissan believes that 242 km is plenty fine for the average commuter, hence allowing the carmaker to sell the car at an affordable price. “The biggest worry for electric car owners isn’t running out of energy, it’s making sure the charging station waiting at the end of the trip won’t be broken down,” says Nissan. Nissan therefore improved the LEAF where it matters. Styling-wise, I’m still not convinced by the car’s futuristic and upright appearance, making it look like a big doorstop. But I’m willing to give Nissan credit for penning a much more coherent design this time. For once, the LEAF actually looks like a normal car, not some strange spaceship-resembling thing on wheels. But that’s all subjective, so you be the judge. The new car rides on a heavily revised platform from the outgoing car, which allowed engineers to package the batteries within the car’s floor. This ensures better weight distribution and a lower centre of gravity, allowing the LEAF to be stable and well planted to the ground at high speeds. As a matter of fact, the car’s overall refinement was significantly improved, the cabin itself is spacious, especially for a car of this size, and overall build quality is adequate, incorporating materials of good quality. In that respect, the LEAF is a much better finished car than the Chevrolet Bolt EV, but the Volkswagen e-Golf remains the most refined attainable EV of the group. The new battery also increases the car’s overall horsepower and torque. 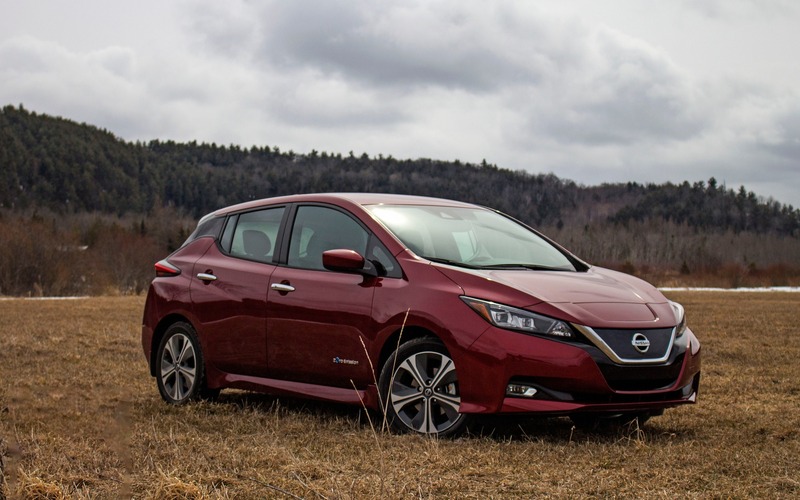 The LEAF is now rated at 147 horsepower (up from 107 hp) and 236 lb.-ft. of torque (up from 207 lb.-ft.), allowing it to sprint from 0 to 100 km/h in roughly 7.5 seconds. On the road, the electric motor’s instant torque is almost addictive, especially when flinging the car onto a highway on-ramp to merge with traffic. The LEAF has no shortage of power and the car itself is superbly agile, making it a blast to drive it fast through a bend. All electric cars come with some form of regenerative braking, and some examples, like the e-Golf, even allow you to modulate the system’s resistance. 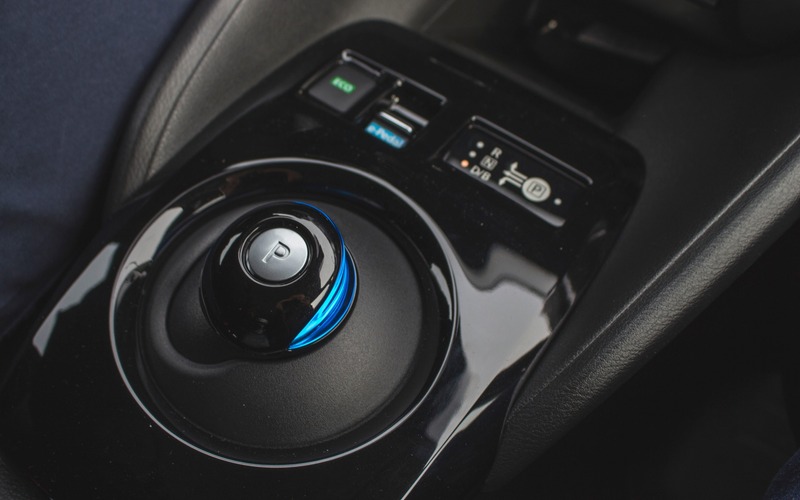 For the LEAF, Nissan has fitted it with what they call an e-Pedal. Once activated, all you need to do is release the accelerator pedal to slow down the car all while recharging the batteries. It’s simple, yet clever, allowing drivers to not only increase total battery range, but also reduce brake pad wear. You can even bring the entire car to a stop with it! So there you have it. The 2018 Nissan LEAF may not revolutionize the electric-car segment, but it is a much more evolved machine in every way. At the moment, it’s the EV that offers the most range for less than $40,000. No wonder it’s the best-selling electric car in the world. As for driving to Québec City from Montreal, just stop at a Saint-Hubert restaurant for lunch and charge the car up. Once you’ll begin digesting your meal, the car will have enough juice to get you to destination, where another charging port will be waiting for you. And if you’re heading to a friend’s house, you need not to worry. Simply dish the level 2 charging cable out of the LEAF’s trunk, and connect the car to the house’s wall plug. Finally, there’s a viable and attainable electric car. 10/10	No need to even mention it! 6/10	For a compact car, the LEAF is rather spacious and its rear seat offers plenty of head and leg clearance for adults. 7/10	The instant torque from the electric motor gives the LEAF spirited acceleration. 5/10	The interface is dated and the menus are complex. Some simple controls can be hard to find. 6/10	The new platform means the LEAF is well anchored to the ground, stable and fun to throw around in the bends. 8/10	A clever little EV that offers one of the best value propositions out there. Electric Say Hello to the Nissan LEAF Open Car… Convertible!